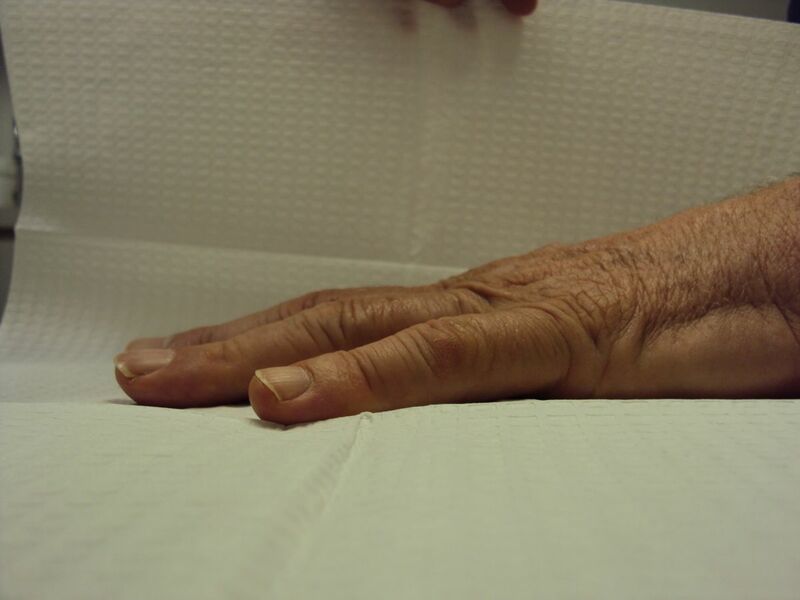 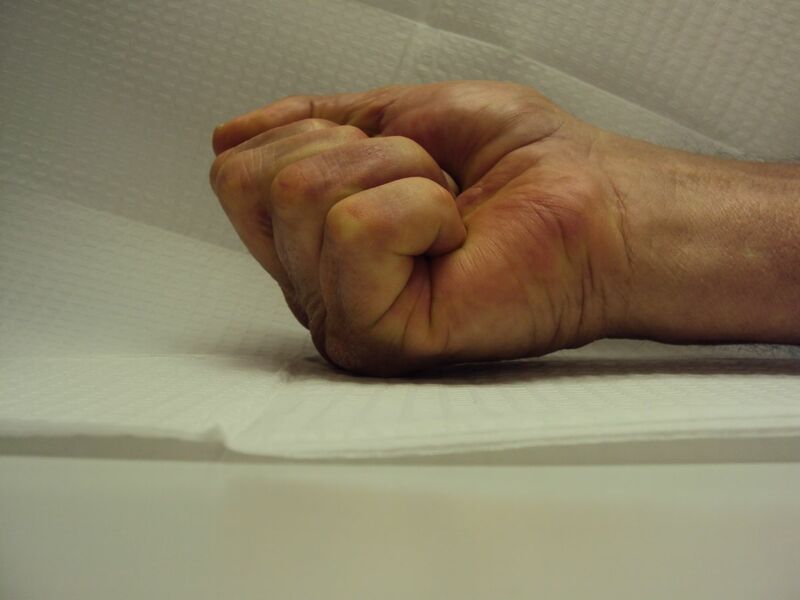 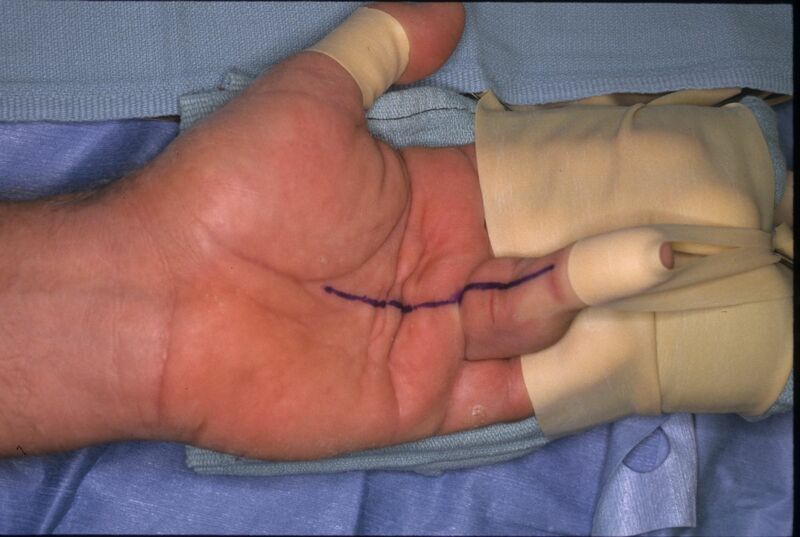 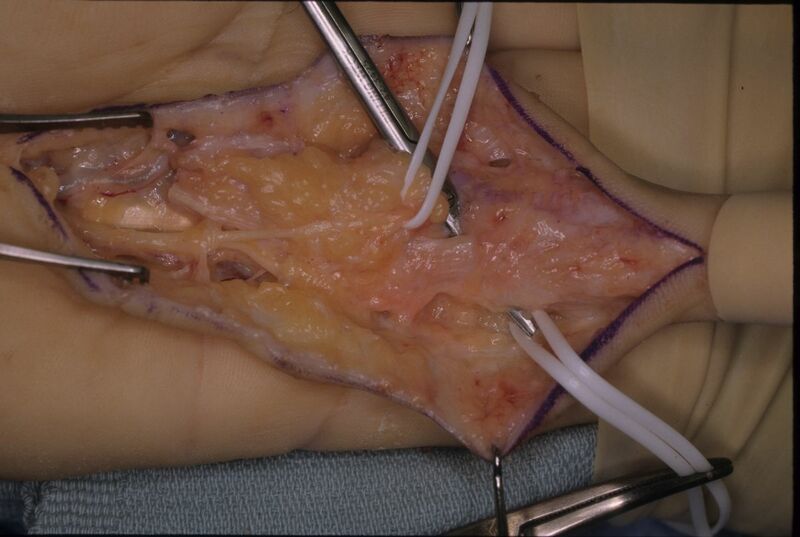 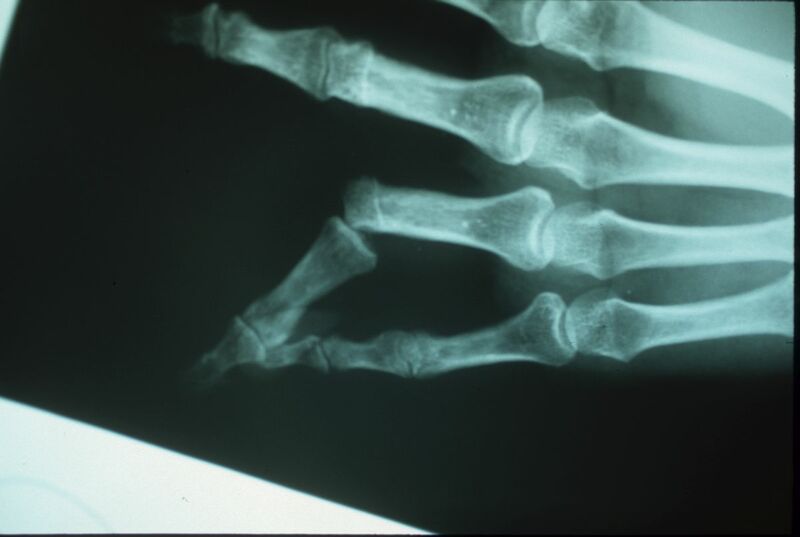 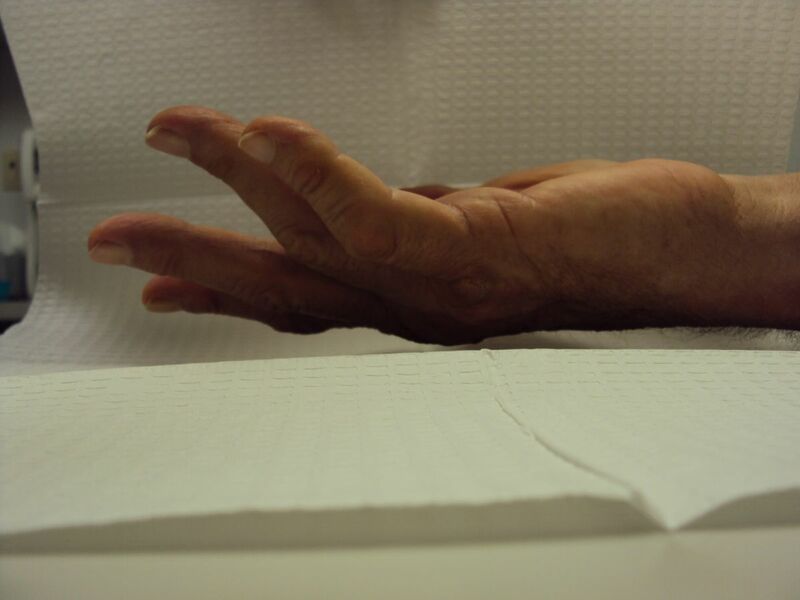 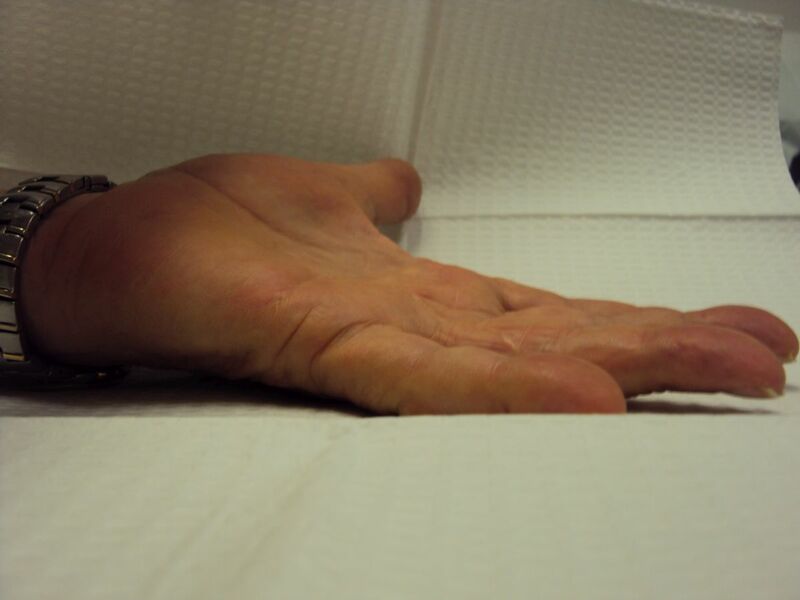 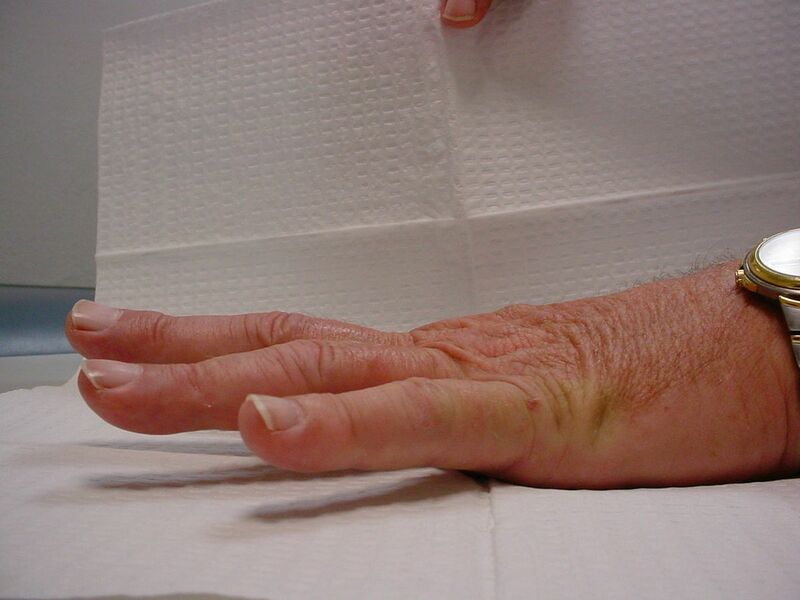 Delayed wound healing is a known issue with fasciectomy for Dupuytren contracture. 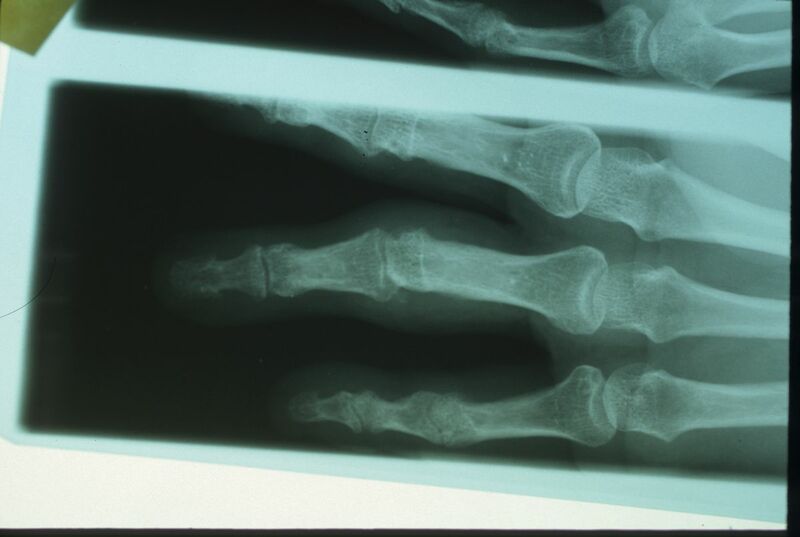 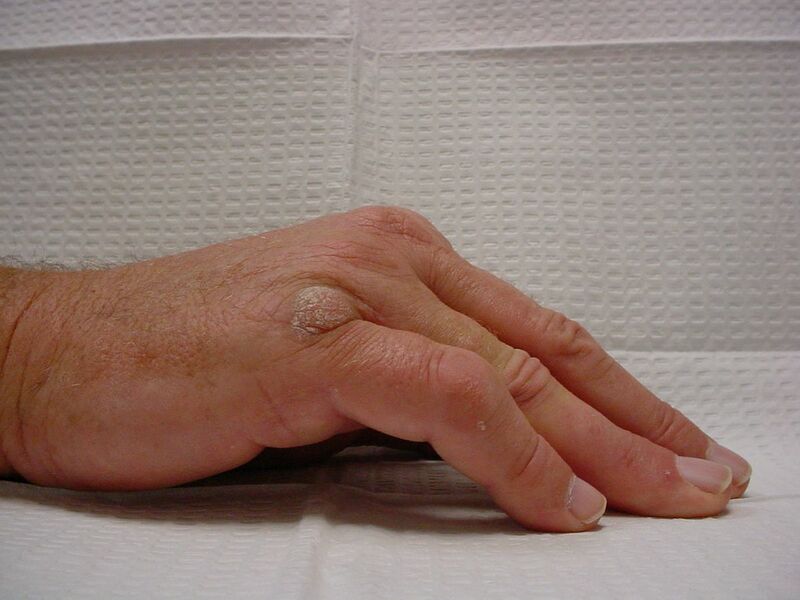 This is sometimes referred to as wound dehiscence, wound separation, marginal necrosis. 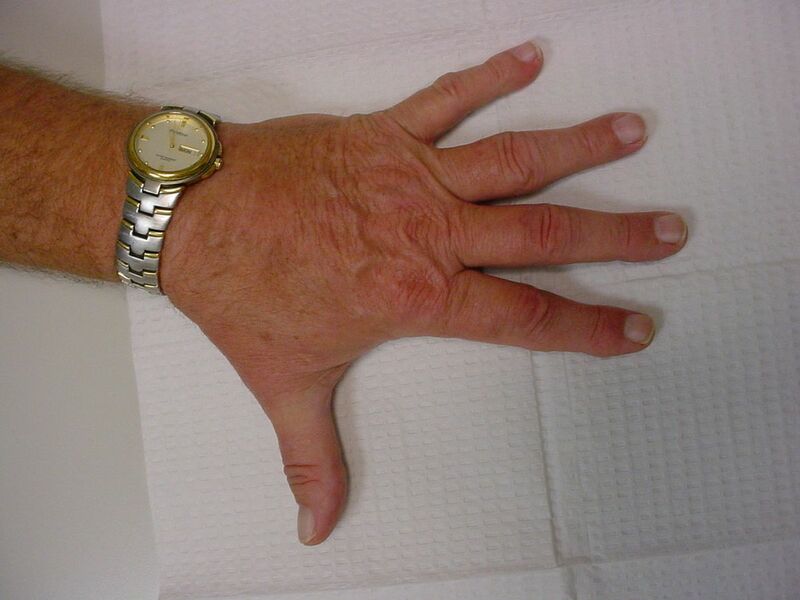 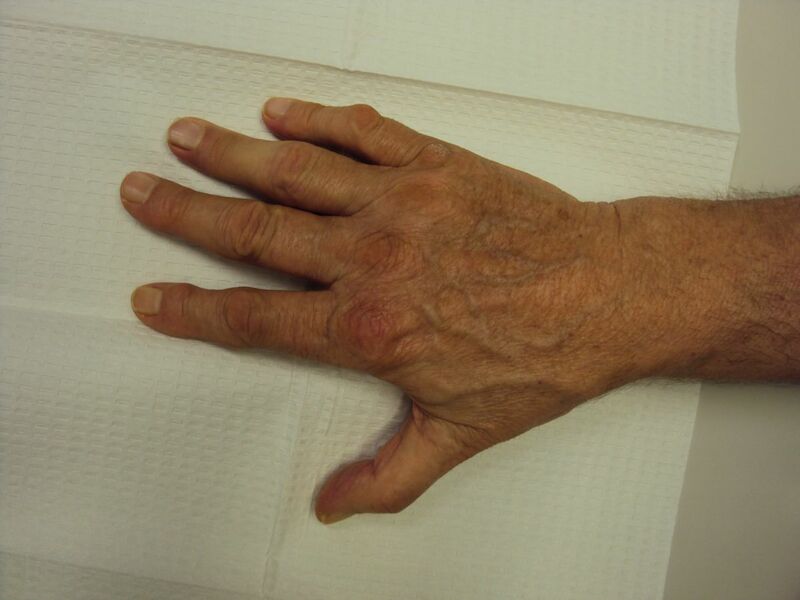 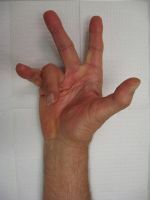 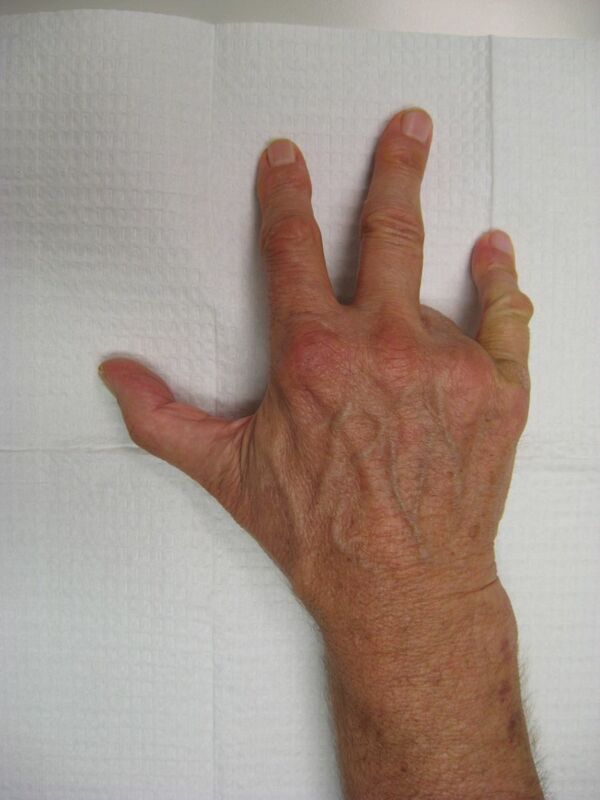 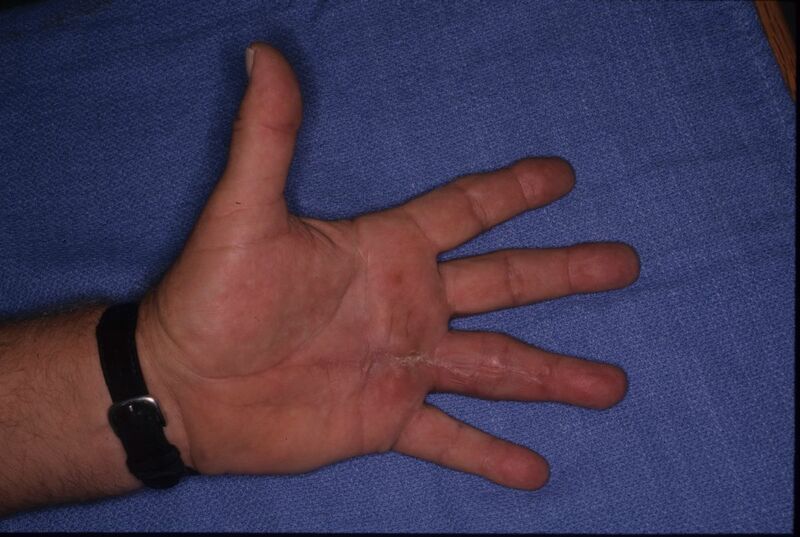 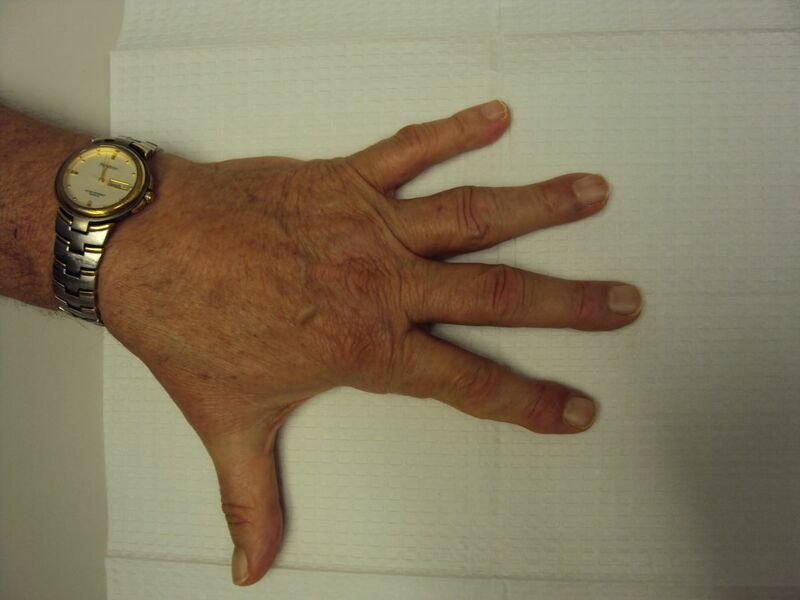 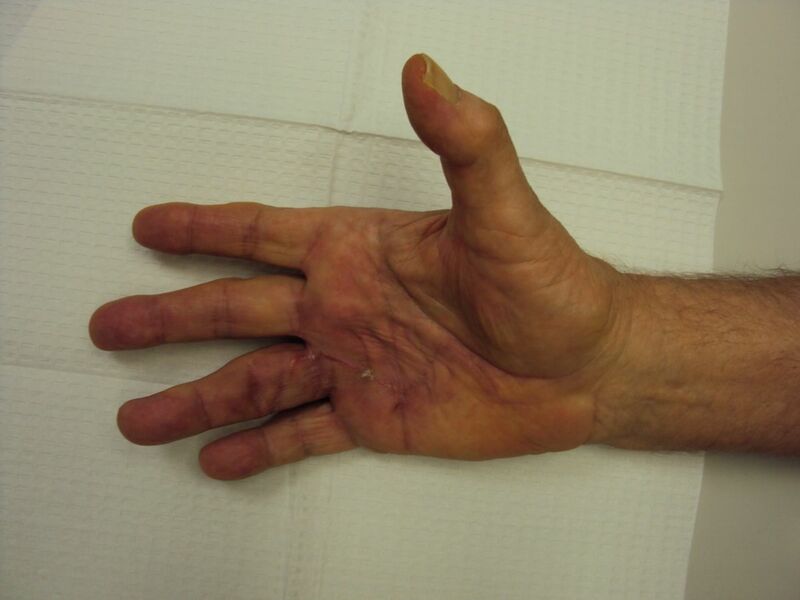 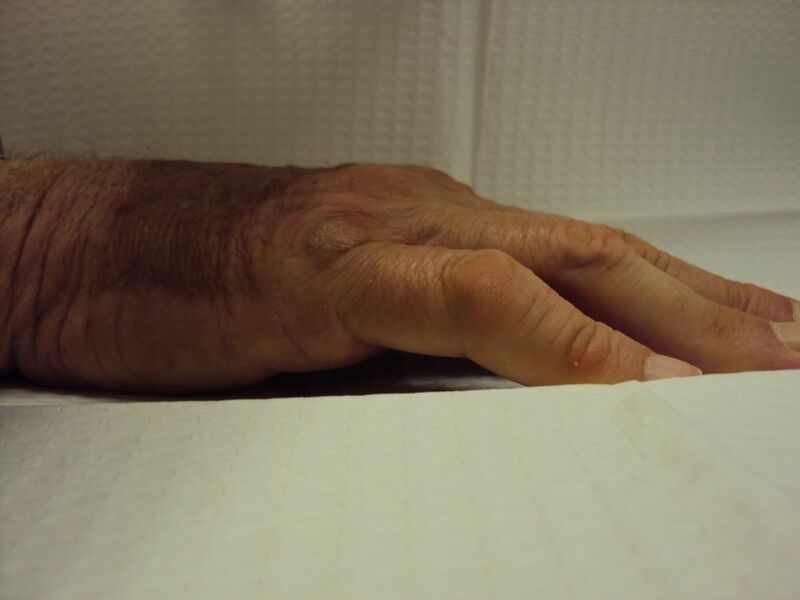 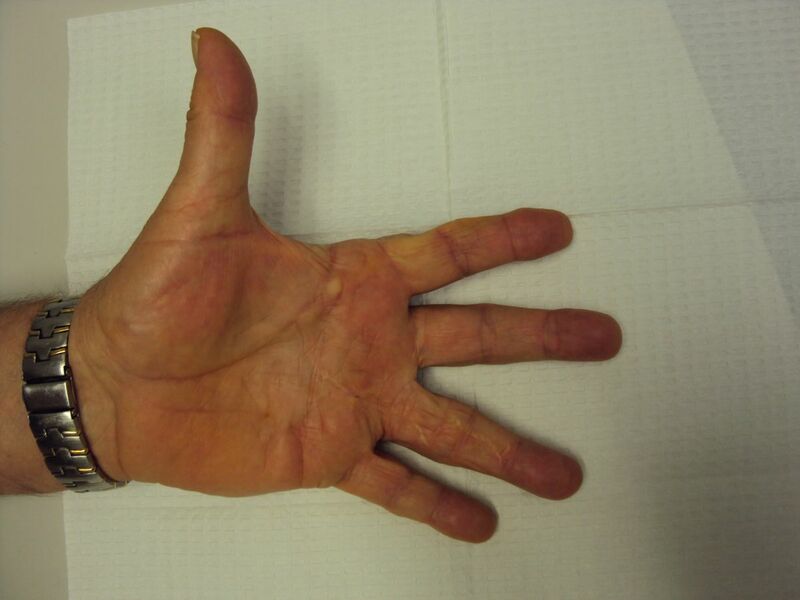 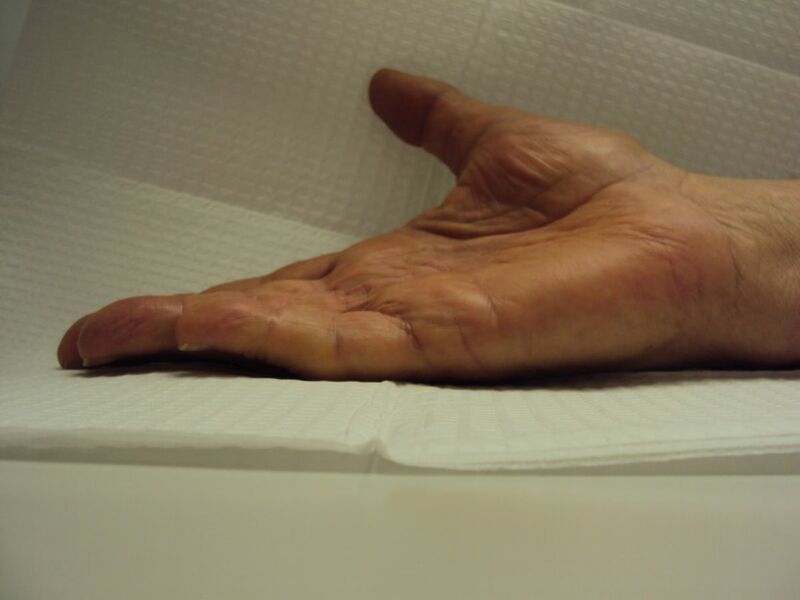 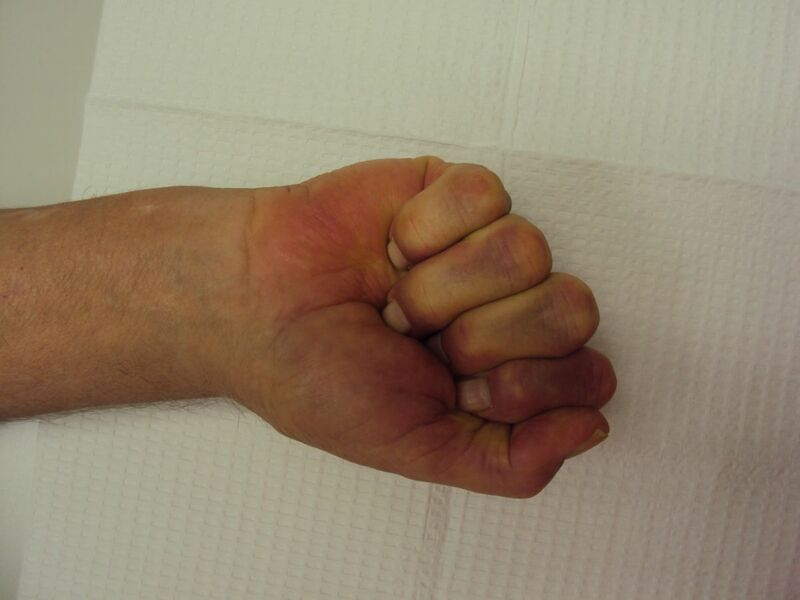 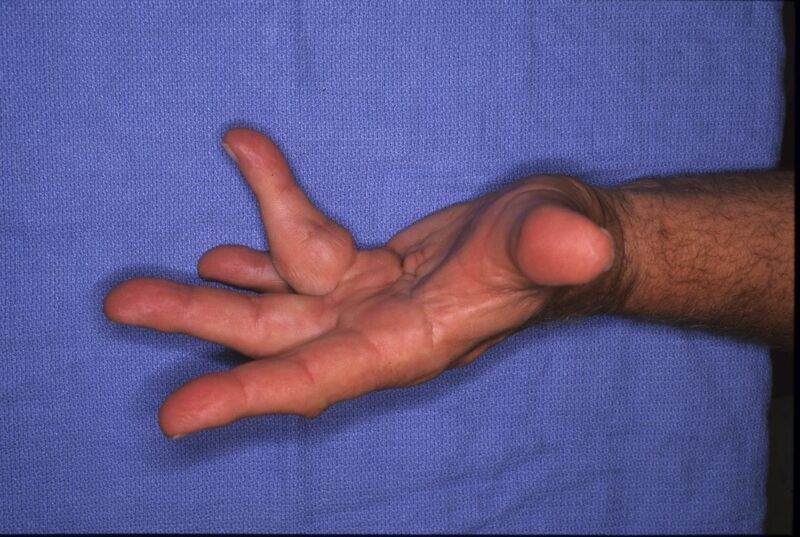 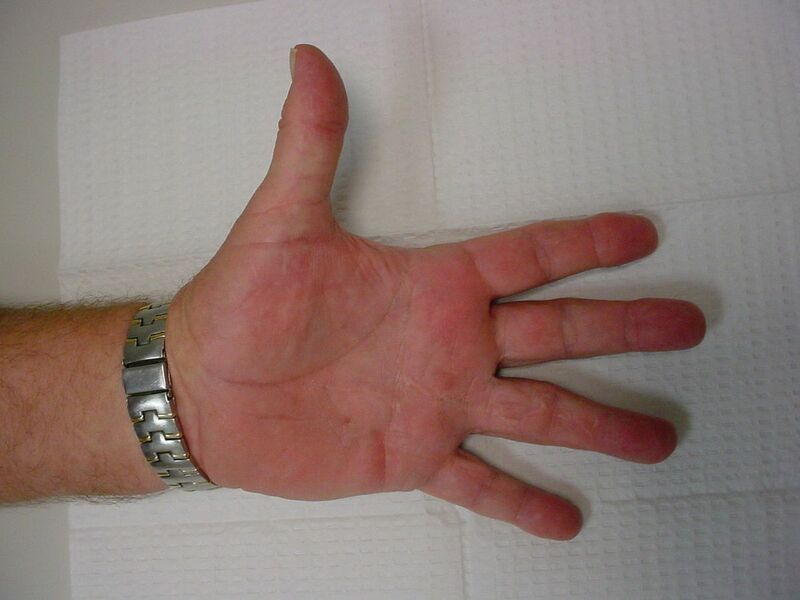 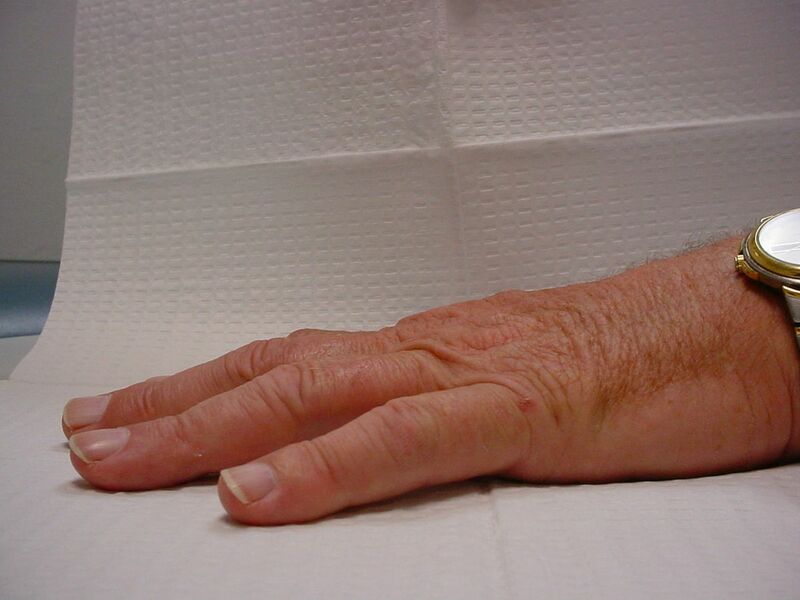 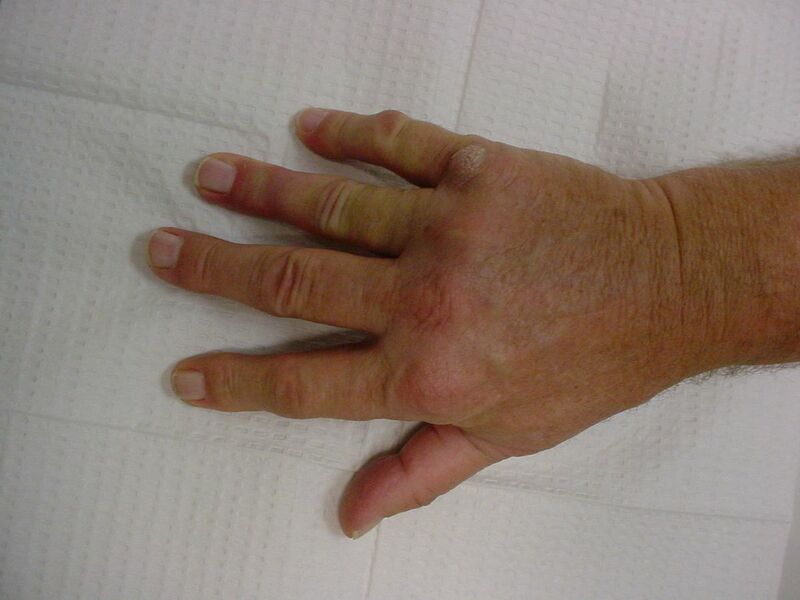 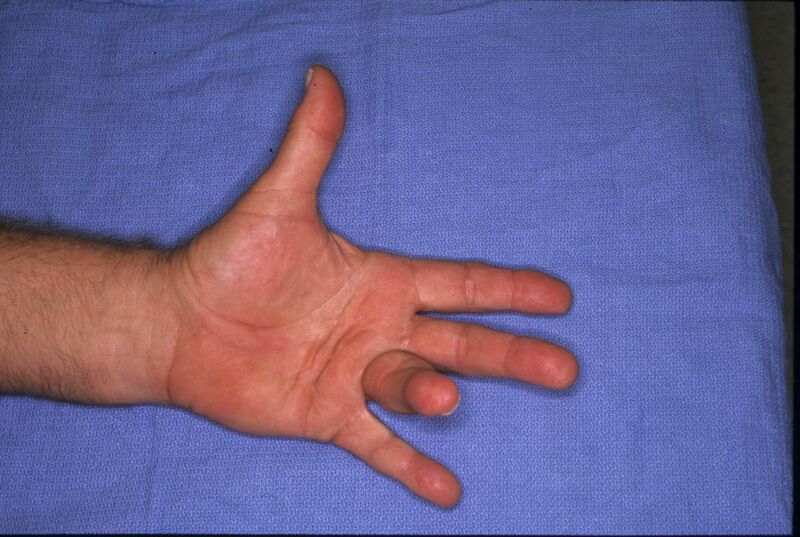 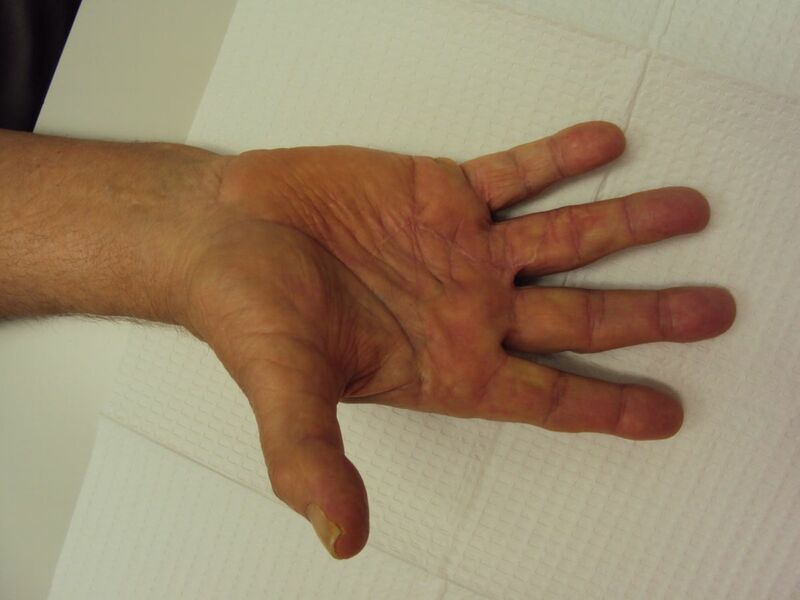 It is thought to be due to a combination of poor circulation to thin flaps, postoperative swelling, and some undefined aspect of Dupuytren-related skin fibrosis. 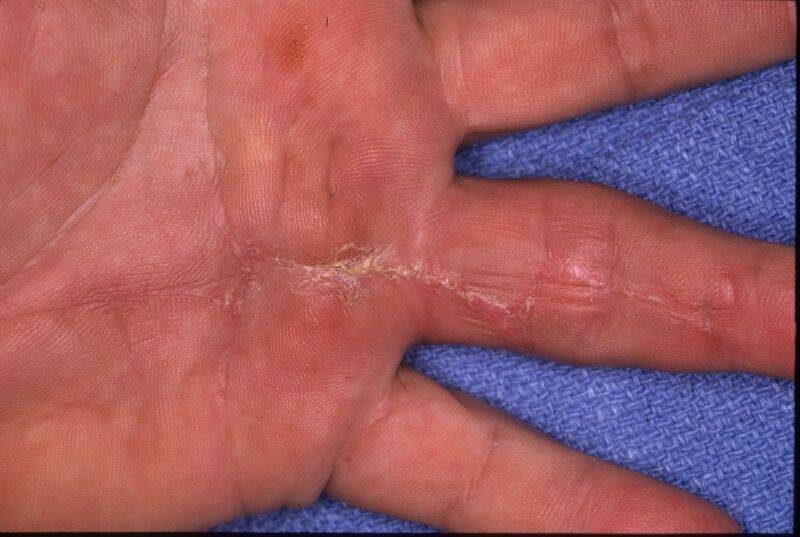 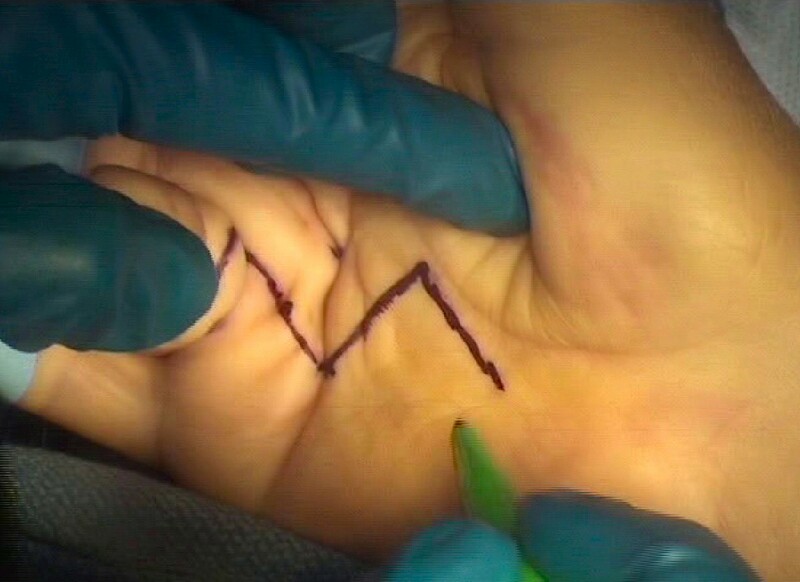 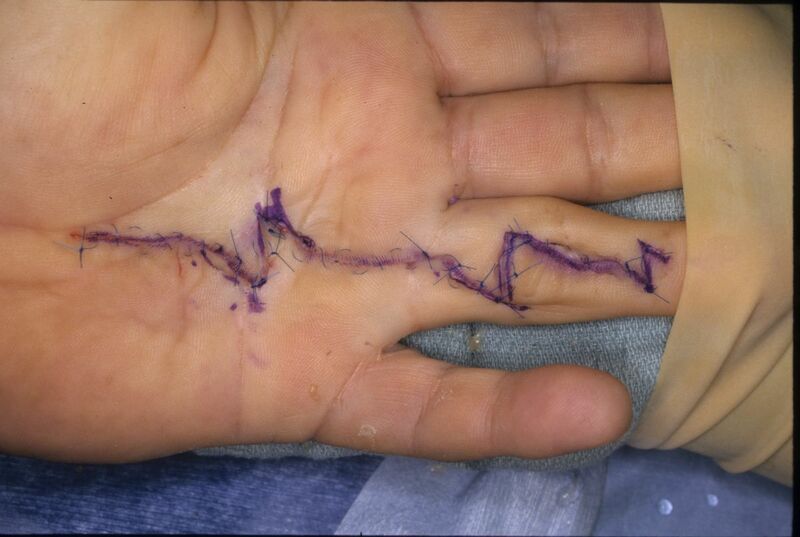 Steps to avoid this include gentle handling of tissues (skin hook rather than forceps), making flaps as thick as the disease involvement will allow, placing sutures loosely, and leaving sutures in longer than for other palm procedures - 2 to 3 weeks. 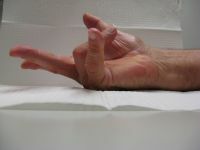 Despite these steps, delayed healing can occur. 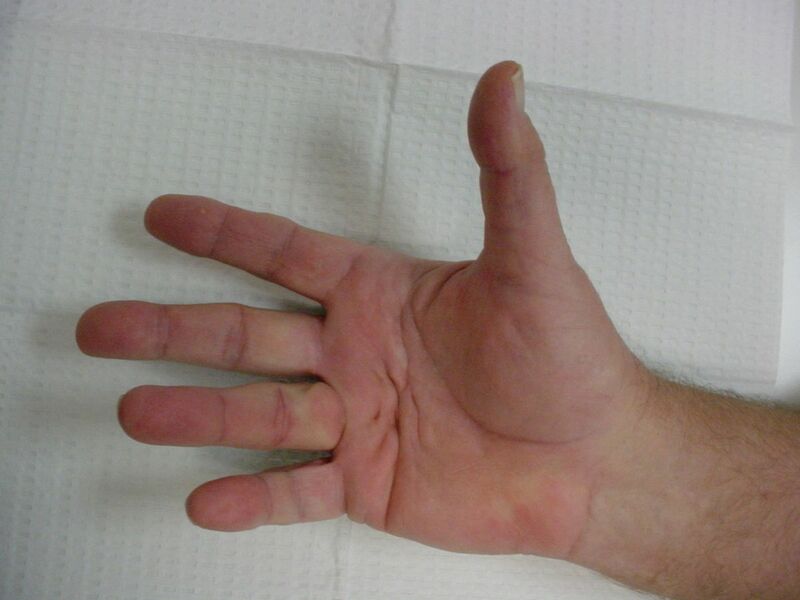 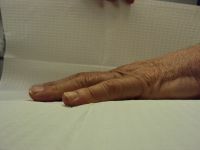 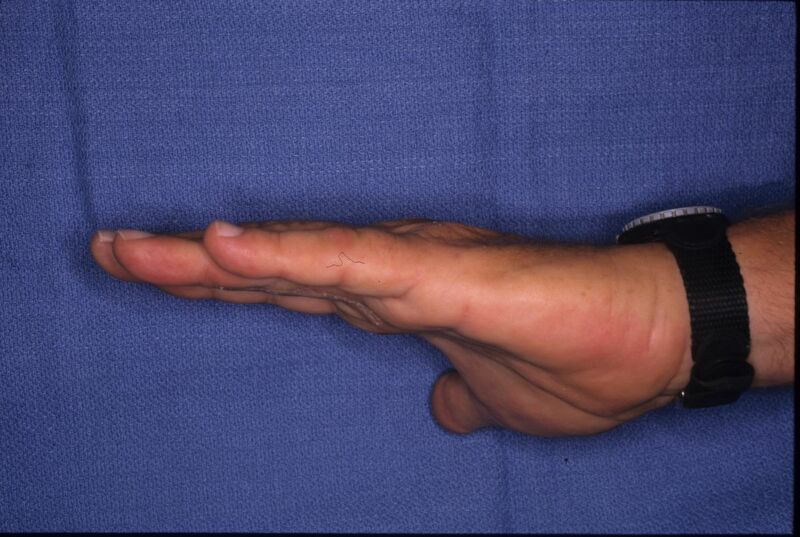 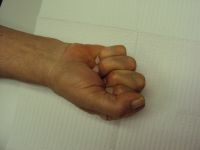 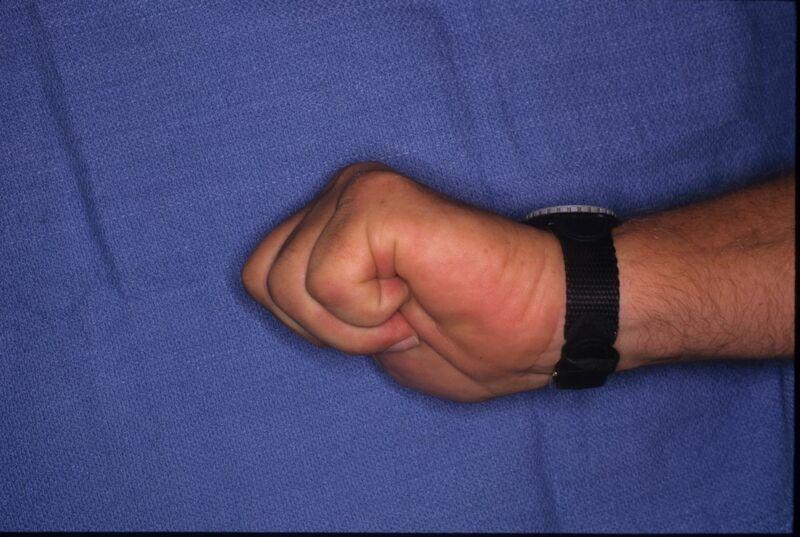 As with open palm technique, the appearance can be distressing for the patient, but does not impact the final result. This is an example of a patient who had delayed healing of faciectomies on each hand but a good final result. Z-plasties transposed. Transverse limbs planned offset from flexion creases to reduce tension of closure. 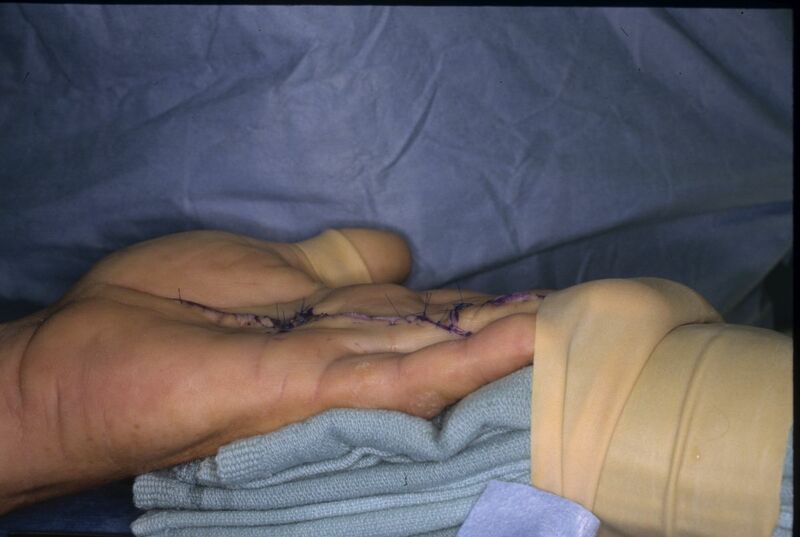 Because slow healing is common after fasciectomy, sutures were left in for 3 weeks. 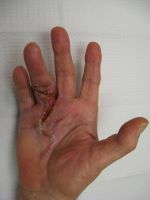 Despite this, wound edges separated. 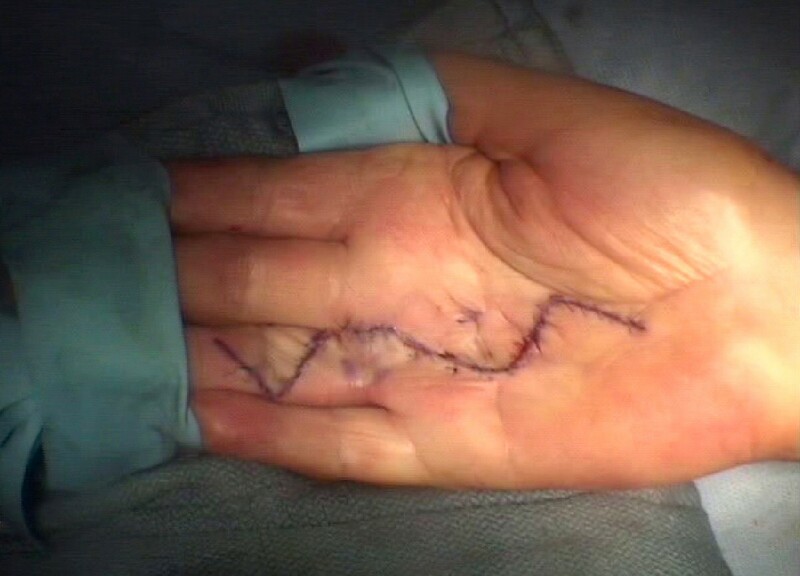 Here, one month postop, one week after suture removal. 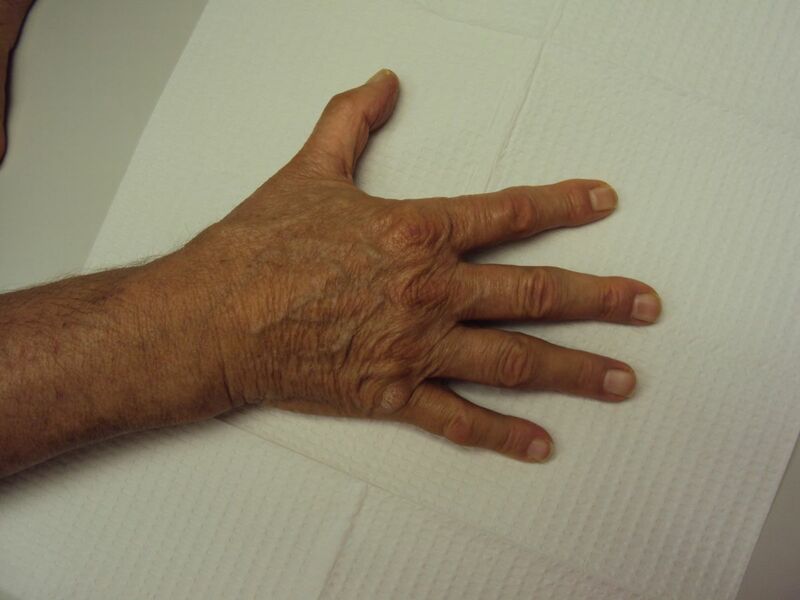 Hesitant to have fasciectomy, and too anxious to agree to an awake procedure, the patient delayed treatment four more years before deciding to have treatment for what had become a severe contracture. 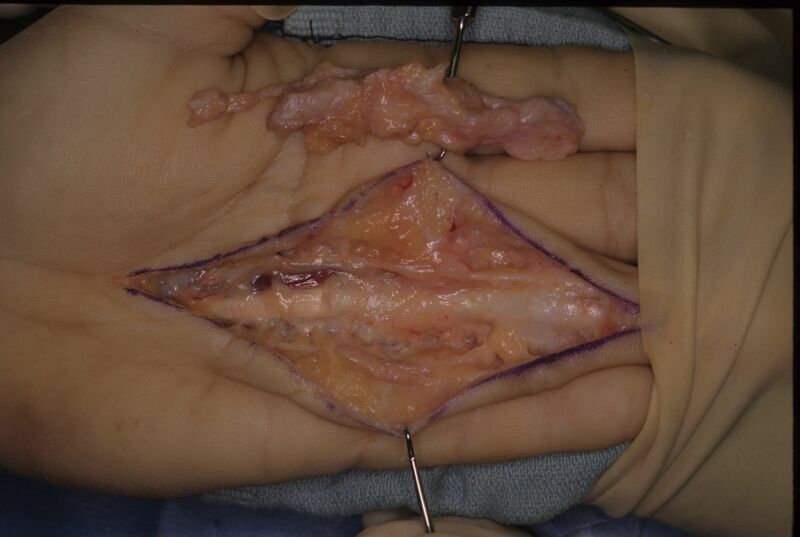 Because of the history of delayed healing on the other hand, wide Bruner flaps were used rather than Z or V-Y plasty. 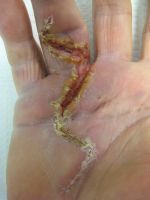 Delayed healing again: wound edges separated after suture removal two weeks postop.